The Syrian army launched a fresh offensive against a rebel-held area near the capital yesterday, testing a warning issued by the opposition that they would end the ceasefire if it continued its assault. After a brief period of quiet on Sunday, barrel bombs hit villages in the rebel enclave of Wadi Barada while heavy fighting on the ground resumed. 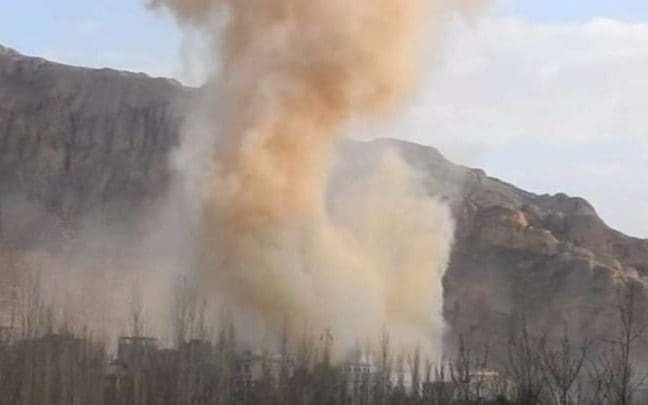 Local activists reported a number of air strikes as well as heavy sniper fire, which was said to have killed two civilians. Rebels had warned that if the army did not end its assault by 8pm Saturday, they would consider the truce void. However, the deadline came and went with no official reaction from the opposition. The regime is keen to regain control of the outskirts of Damascus, the capital and seat of power in Syria. Wadi Barada is of greatest strategic importance as the valley is the primary source of water for five million people living in Damascus and the surrounding countryside. Residents have been without running water since an attack on the water supply on December 22. The government says the Islamist group Jaish Fateh al-Sham, which is not included in the ceasefire deal, has a presence in the area. 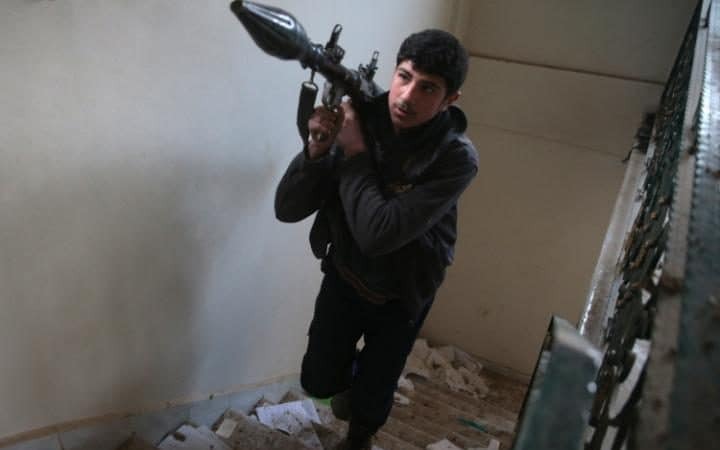 The Free Syrian Army deny the claims – just one point of friction and confusion in the deal which could lead to its collapse. More than 1,000 civilians – all of whom women and children – have fled Wadi Barada in the last 48 hours for government-controlled areas nearby in an attempt to escape the air strikes and fighting on the ground. The army has intensified its assault on Wadi Barada, which has been under government siege since 2015, in recent weeks in an attempt to apply pressure on fighters to surrender. The regime has used similar tactics in other areas around the capital, securing several “reconciliation deals” which have seen rebels offered safe passage in return for surrender. Elsewhere in the country, Syrian rebels were also accused of shelling Fuaa and Kafraya, two besieged Shia-majority villages in rebel-held Idlib province. The fresh violence threatens the Russia-Turkey-brokered truce that came into force last week, which is intended to pave the way to new peace talks in Kazakhstan later this month. The ceasefire won the backing of the United Nations and is the best hope for ending the five-year conflict.